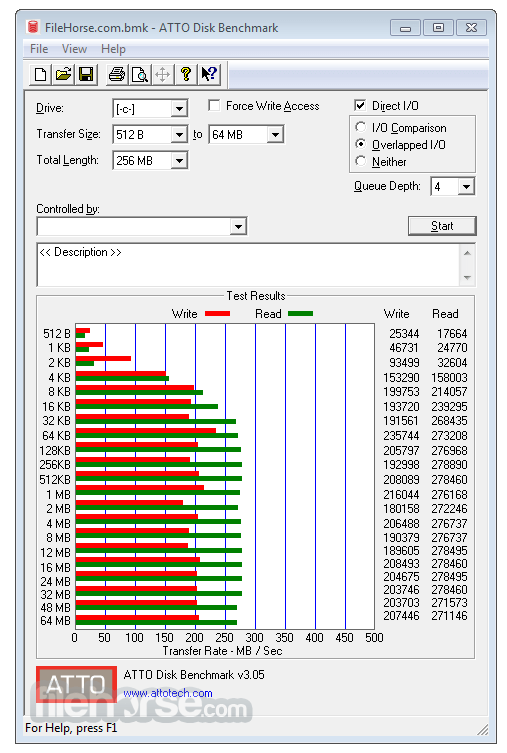 As the industry's leading provider of high-performance storage & network connectivity products, ATTO Disk Benchmark has created a widely-accepted Disk Benchmark freeware utility to help measure storage system performance. As one of the top tools utilized in the industry, Disk Benchmark identifies performance in hard drives, solid state drives, RAID arrays as well as the host connection to attached storage. Top drive manufacturers, like Hitachi, build and test every drive using the ATTO Disk Benchmark. The ATTO Disk Benchmark performance measurement tool is compatible with Microsoft Windows. Use ATTO Disk Benchmark to test any manufacturers RAID controllers, storage controllers, host bus adapters (HBAs), hard drives and SSD drives and notice that ATTO products will consistently provide the highest level of performance to your storage.